The fundamental principal of forest succession is that the forest changes over time. There is no steady state until well into the climax or final stage of forest development. That being said, natural resource managers and forest landowners have tools such as timber harvesting available to assist with the process. Even-aged management favors the shade intolerant species of eastern temperate hardwoods like the oaks, cherry, walnut, and yellow poplar. Creating an even-aged forest utilizes harvesting techniques such as a shelterwood harvest or clearcutting. Hardwood management is all about developing adequate natural regeneration. This is the main consideration when deciding on harvesting timber. If adequate, desirable, advanced ( tree saplings 5-6 feet tall ) regeneration is present; a clearcut or group selection would remove the overstory allowing full sunlight to reach the forest floor. This method provides the greatest economic return and allows for efficient, cost effective harvesting. A shelterwood harvest would be in order should advanced regeneration not be available. This practice will allow for some shade to be left in the overstory by favoring 20-30 desirable, dominant parent trees per acre. The alternating full sunlight and shade on the forest floor will generally allow adequate regeneration to develop. The parent trees may be removed when the regeneration becomes advanced within 8-12 years. Uneven-aged management favors tree species that are shade tolerant such as the maples, American beech, and the birches. It provides for a continuous forest canopy at all times. The practice provides a periodic income so long as the residual species have economic value and the practice utilizes wood that might be lost to mortality. 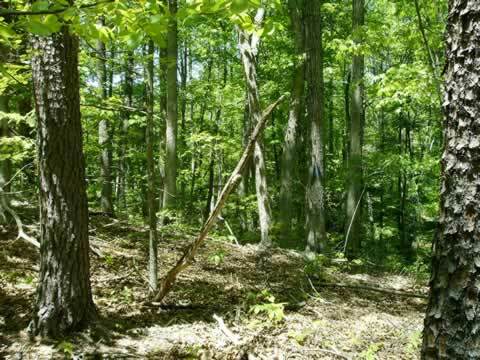 This method will turn an oak-hickory forest into a climax forest over several, periodic harvests however. Thinning is a timber harvesting practice removing the poorest competitors within a stand allowing the best trees room to grow and develop. Thinning should occur mid rotation in for hardwoods or 40 – 60 years of age. Hardwoods are evaluated on the basis of quality and desirability for wood products. Soils are extremely important for a forest landowner to consider when attempting to culture quality hardwoods. 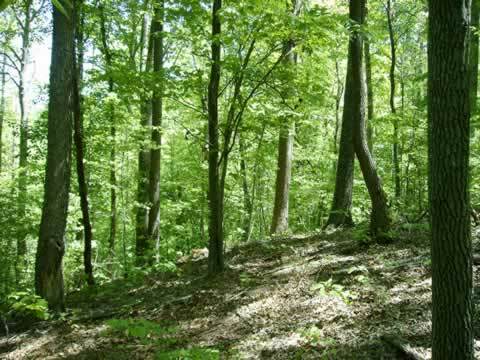 Deep, loamy, fertile soils favor good hardwood tree growth. Pine species do well in clay based soils. This is often the reasoning behind hardwood conversion to pine plantations.